Ahead of the International Automobile Exhibition (IAA) in Frankfurt, Germany, next month, premium auto maker Bentley previewed the Continental GTC. It’s almost exactly the same as its GT coupe counterpart, other than it obviously being a convertible (or as European calls it “cabriolet”). Under the hood sits a 6.0-liter, turbocharged W12 engine, capable of a head-spinning 567-horsepower, enough ponies to propel this beast from 0 to 60 mph in 4.5 seconds. Bentley’s aren’t for speed alone of-course, a Bentley is for speed and comfort. The Continental GTC is the perfect combination of both. Being a Bentley, each car is custom tailored to each owner’s wishes, there are 17 leather hide color ways as well as 6 color combinations and 7 matching wood veneers to select from. 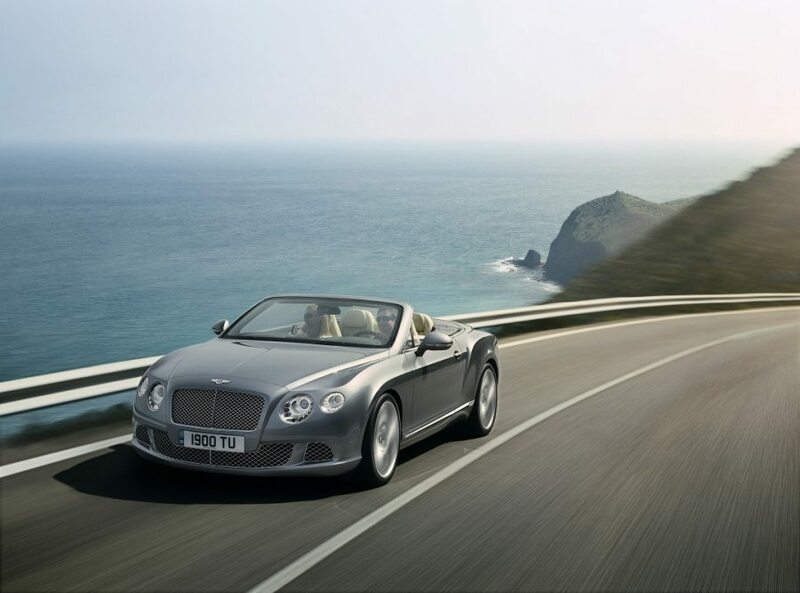 The Bentley Continental GTC is set to be available later this year with a base price of $212,800 US.